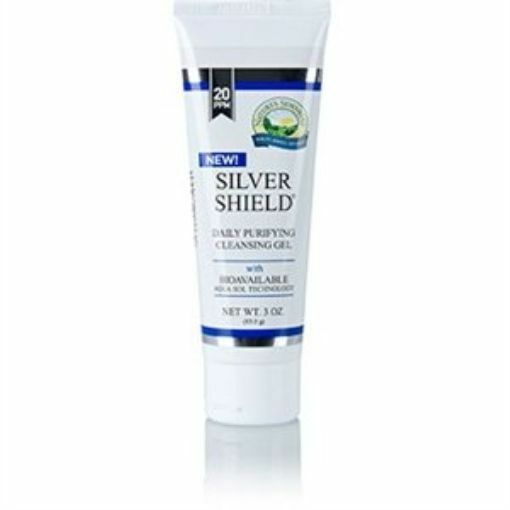 A potent surface germ barrier and cleanser, Silver Shield Gel provides 20ppm of bio available silver, considerably more than many competing brands, and is non-toxic. Suitable for vegans. Nature’s Sunshine uses the very latest technology and cutting edge methods that provide you with only the very best quality silver products. Suitable for vegetarians and vegans. Made with food-grade ingredients Silver Shield Gel is manufactured with a patented process called Bioavailable Aqua Sol Technology and uses only the finest particle size colloids to ensure maximum bio-availability and efficiency, providing 20ppm of silver in a clear moisturising gel. This clear gel product provides natural hydration and a moisturising effect. It contains no alcohol, it is non-toxic, safe and effective, and has no risk of causing heavy metal contamination. Silver Shield Gel provides 20ppm of bioavailable silver, and is safe for children. Manufactured using a patented process (U.S. Patent No. 7,135,195). Directions: Apply Silver Shield Gel® to skin as required. For external use only. Ingredients: Aqua, triethanolamine, acrylates/C10-30 alkyl acrylate cross-polymer, colloidal silver. Another product I would like to share the results of with you is Silver Shield Gel. We all know that the summer months can be irritating and painful to some of us in the form of insect bites! My body seems to be a banquet for these little darlings and 80% of the time I develop an allergic reaction to the bites and have to either take antihistamine or antibiotics - well not anymore - I apply the Silver Shield gel to the bite and it alleviates the itchiness and I haven't had a bad reaction since, only minor reactions that clear up in a couple of days - so bite away my little darlings as you deserve to eat too! I also use the gel on burns, blemishes and as a daily moisturiser on my face to keep my skin hydrated and feeling soft.